The Elite series stick is the hard hitters dream. This stick is made for maximum power and explosive one-timers with a mid-kick point and allows for the heaviest of shooters. The Elite stick weighs in at just 375g, comes in a 12k Carbon Fiber design and has a smooth matte finish. The Elite series was one of the first sticks manufactured with the pre-impregnated resin technology. This means the carbon fiber is uniform and more durable creating a much stronger consistent stick. 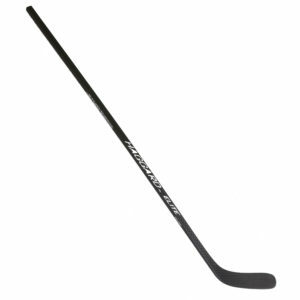 Junior sticks come 50″ long and in 50 flex. 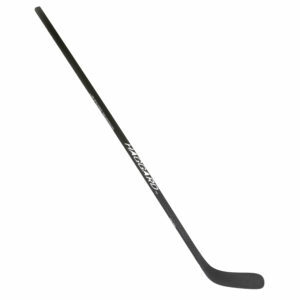 All our sticks are a “True One-Piece” Torey T700 carbon fiber hockey sticks. This isn’t the easy way to make a hockey stick, it’s the right way! The attention to detail in these sticks requires a new mold for every single curve pattern for both left and right-handed players. The entire stick is created at the same time allowing for better energy transfer to both the player and the puck, creating a better feeling, more powerful and accurate stick. Very few and only the best sticks are made this way!